Who doesn't want a whiter smile? Teeth Whitening is something i have always wanted to do but always thought you had to splash the cash to get decent results. 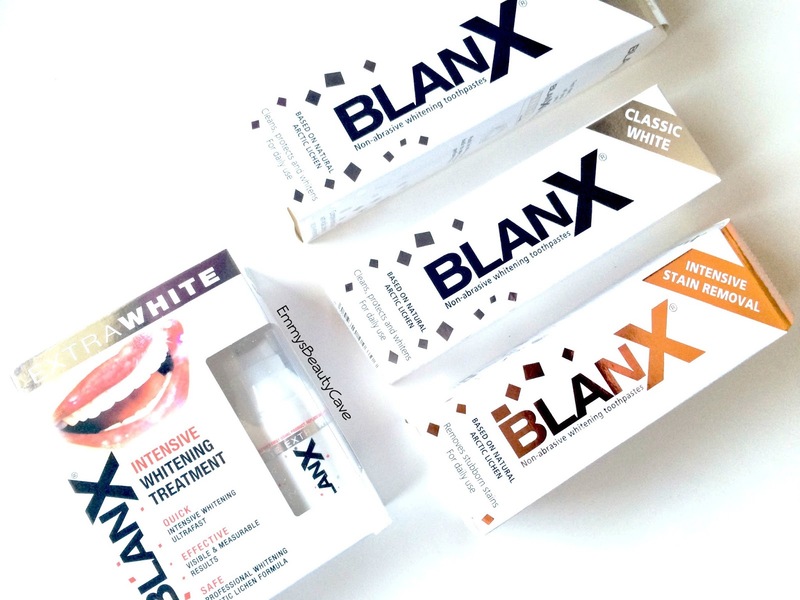 I was recently asked if i would like to try BlanX Teeth Whitening products so of course i said yes. BlanX very kindly sent me double of each product so i could hold a giveaway for all my lovely readers! Over the last ten days i have been experimenting with the products and i have to say i am amazed at the results. With each product it states to brush your teeth twice a day. So i decided to use one in the morning and a different one in the evening. I used the BlanX Classic Whitening Toothpaste in the morning. I brush my teeth for that little bit longer to make sure it has long enough to be effective. This one definitely has the taste like when you go to the dentist! But once brushed it is fine. I then brushed my teeth with BlanX Intensive Stain Removal Toothpaste which i thought after eating all day and drinking it was best to use this one if the evening to get the best results. The stain removal toothpaste doesn't taste as strong as the Advanced Whitening one. Every couple of days instead of using the stain removal toothpaste i would use the BlanX Extra White Intensive Whitening Treatment which has a more runny/loose texture compared to the toothpastes. I brushed my teeth as normal like i did with the other products. 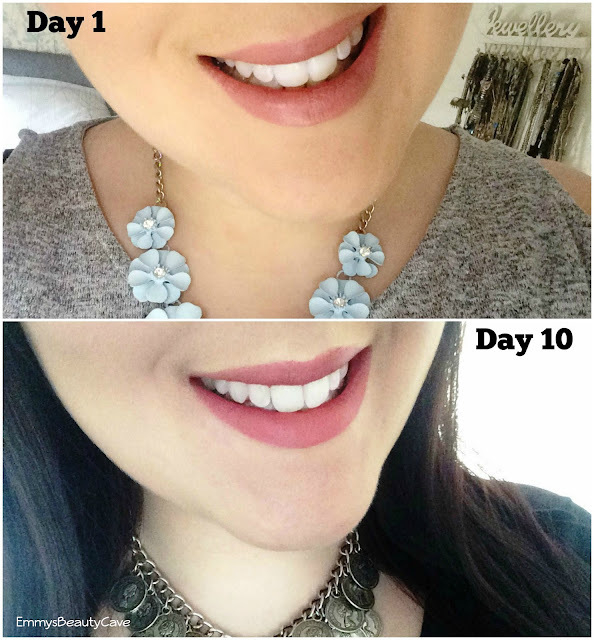 At first i wasn't sure if i could tell the difference but when i compared Day 1 and Day 10 photos the difference was impressive! My teeth are definitely looking whiter with the help of these products. I can't wait to keep using them and see further results! The products up for grabs are all shown in my photos above! Giveaway Will Run For 3 Weeks Ending on Wednesday 4th November! Anything that whitens my teeth I'm always game to try, the results for you are undeniable! The results looks amazing! I have always fancied whitening my teeth!! The result is great! It is hard to find good ones, looks like it is one of the good ones! Nothing better then having white teeth! Yours look amazing! This is an amazing product and the results are awesome! Thanks for sharing it. This looks fantastic & amazing results!! I need to look out for this product! !